Good morning! It’s Q and A Wednesday on Teachers Write, which means the comments today are open for your questions about all things writing, relating to today’s topic of nonfiction or whatever else is on your mind. We’ll have a number of authors popping in during the day to respond. 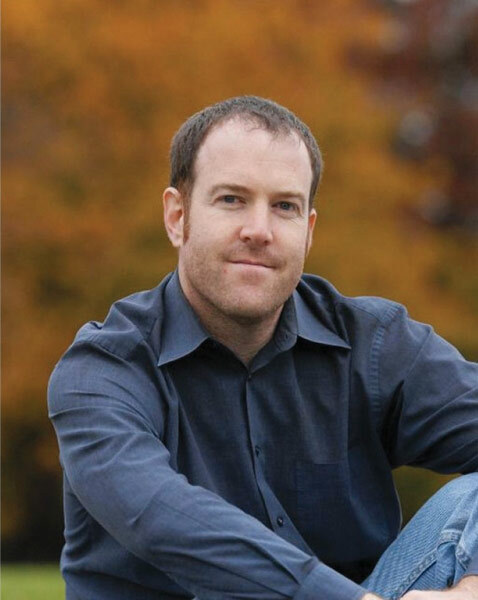 Also today, we have guest author Steve Sheinkin, who used to write history textbooks but now creates high interest historical narratives like Bomb: The Race to Build — and Steal — the World’s Most Dangerous Weapon. Obviously, the opening paragraphs of a book are super important. This may be especially true of nonfiction for young readers—because let’s face it, kids may be picking a book up expecting it to be boring. Actually, it’s not just kids. I’ve lost count of the number of librarians who’ve told me, “I have to confess, I don’t really like history… but I gave your book a chance and was pleasantly surprised!” And a lot of them tell me the opening scene helped hook them in. She’s very tough, Deirdre, in the best way. And that’s one of the things she hammers away at. “What is this book about?” She forces me to think about this, and it always impacts our opening scenes. For example, in my book Bomb, one (of my many attempted) opening scenes showed the physicist Robert Oppenheimer as nerdy kid. He’s completely out of place at this sports summer camp—all he wants to do is write poetry and collect minerals. When he goes for a walk in the woods a bunch of boys jump out and attack him wielding paint brushes dripping with green paint. It was a great little scene, and you got to know and sympathize with one of the main characters… but this wasn’t meant to be an Oppenheimer biography. We tried again. Another attempt was a scene that ended up making the book, a scene in which these two Hungarian scientists are lost in Long Island, driving around in search of Albert Einstein’s beach house. It’s funny and visual… but as Deirdre pointed out, the scene works a lot better if you know why it’s so important that these guys find Einstein, and that requires background knowledge of nuclear fission and 1930s world events. Opening scenes can have some background info, but ideally not in the first few paragraphs. We went through a few other options, and finally hit on the idea of opening with a moment from the end of the story, where FBI agents corner Harry Gold in his Philadelphia home and confront him with evidence of years of spying for the Soviets. It’s a true stand-alone piece of action, it’s tense and visual, with great eye-witnesses sources of dialogue and details. It hooks the reader, hopefully, and from there I can step back and take you back to the beginning of the story. And to Deirdre’s point, it’s what this book is about. I wanted Bomb to read like a spy thriller, and this Gold arrest scene sets that mood right from the start. Try writing an opening scene to a nonfiction story. First, look over your story outline, if you have one, or just think it through. Make a list of maybe three or four scenes—little bits of action that involve main characters. Then, think, “What is my story about? What sort of mood do I want to set?” Pick a scene that lets readers know what sort of book they’re about to read. Ask yourself: “Do I have good enough sources to really make this scene come alive?” And “Can the reader jump right into this scene without needing a ton of background info?” I try to find scenes that meet these conditions. Write the scene. My opening scenes tend to be about 600–800 words, but that’s just a loose guideline. And remember – it’s also Q and A Wednesday, for all of your writing questions, but especially those that relate to nonfiction. I’ll put out a special call for friends who write NF to stop by to chat today. Thank you for your description of how you came to write the opening to Bomb. I read the Prologue and am completely pulled into this story. I used to shy away from reading nonfiction history because of its reputation for being dry and boring. However, since reading Candace Fleming’s The Family Romanov, I’ve changed my mind. 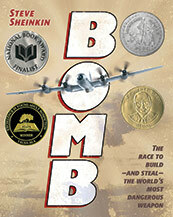 Bomb is my next nonfiction read. I have a bunch of questions, but I’ll limit myself to two.  My questions for you, and any other NF writers who visit here today: (1) How do you keep track of your sources as you’re writing your story? (My students have a huge problem with this, and often forget to source something). (2) I’m assuming your work from an outline, so do you include your sources in your outline or do you incorporate them while you’re writing? Hi Wendy! Totally agree about Family Romanov – great example of exciting nonfiction. So, first, my system is not too sophisticated. I just type hundreds of pages of notes into Word files, each group of quotes/details listed under its source. Then I can use that material kind of like clay, to mold the outline and draft. In terms of outlines, I like to break down stories into small pieces and write each on an index card, then tape them all to the wall so I can move them around until it all makes sense. When the outline and draft are all done, I go back to my notes to source each piece of into that made it into the final product. Steve! You should post a picture of your wall notes! Great visual of you moving parts around to sculpt your clay into writing! Thank you for this idea! I done more non-fiction essay writing than anything. I would have never thought of this way to organize sources, details, and the writing itself. Wonderful! First of all, thank you for Bomb and Steal. As a librarian, I’ve put Bomb in the hands of students who don’t always engage in academics or novels and they were hooked. Non-fiction is such an important genre, and thank you for taking the extra time to ensure a great beginning so they can’t give me the excuse that it’s boring. These books are my bait for hooking certain readers. So cool….and sometimes people are just waiting for someone to listen! Good Morning, Mr. Sheinkin and TWer’s! Thank you for the wonderful lesson. Also, thank you for Bomb: The Race to Build – and Steal – the World’s Most Dangerous Weapon. My sixth grade students are really becoming interested in non-fiction because of books like yours. History is so interesting to read because often times (at least in the eyes of a sixth grader) it reads like fiction (protagonist, antagonist, conflict, resolution). Since today is also Q and A Wednesday, I have a research question: What research advice would you offer a middle school student/sixth grader while they collect data for a final presentation (examples from last school year: PowerPoint presentation on specific country, research paper on migrant workers, persuasive argument on the Dark Ages being dark or not, persuasive essay on a specific topic)? What advice would you offer a teacher working with students through this research process? I’ll often start with the most general book on a subject I can find. I read it, then look at the sources that author used, and type interesting looking sources into Google to see where I can find the books, websites, newspapers, whatever. It’s like looking for clues, and each source is a potential witness. The key is to take good notes about where everything comes from. Thanks for this exercise. I have not written much nonfiction and have a few stories I am thinking about. I wrote a small opening scene about a live oak tree that was moved to w new location at great expense by the highway department. Nice beginning – guessing this is a picture book idea? Picture book or a magazine story. Thanks. Thank you, Steve, for sharing insight into how you craft beginnings. This helpful glimpse of your process reminds me that good writing often involves REwriting, as with your drafting of multiple openings. I\’m wondering: Did you apply the same approach even to this blog entry? I was struck by how its first paragraph demonstrates what you laid out. The intro reveals what the piece will be about; sets a light, but emphatic mood; and offers two precise (hypothetical) sources that both resonate with your audience and underline why compelling intros are essential. I think I just answered my own question! My enjoyment of _Bomb_ compelled me to try your follow-up _The Port Chicago 50_ earlier this summer. Its exploration of civil rights in the context of wartime is powerful and timely. I just went back to reread the opening through the filter of what you taught us today, and I noticed how it also answers your guiding questions about topic, mood, sourcing, and background. With support from your advice and mentor texts, I can’t wait to challenge my student writers to enliven their nonfiction leads. Looking back on the opening above… yeah, I guess the think I was trying to do was keep it light and conversational, which I don’t really get to do in the types of books I’ve been writing lately. But setting that tone – that’s just what my editor always hammers away at. My middle school daughter and I are huge fans of your work! We enjoyed and learned a lot from _Bomb_ , _The Port Chicago 50_, _The Notorious Benedict Arnold_, and _Lincoln’s Grave Robbers_. I love adding your books to my school library collection and promoting them to kids. Looking forward to reading your new release! 1. Do you conduct all (or most) of your research before you begin writing, or is it a more cyclical process? 2. How do you choose your topics? Are there nonfiction stories you’ve wanted to tell, but haven’t because you couldn’t find enough information? Thanks for the nice words, Susan. Yes, I conduct most of the research before I start to outline and write. About fifty percent of the time I’ll spend on a book will be that initial chunk of time researching. Then I always end up doing more research as I write, just to fill in extra details. And yes, definitely, to the second question. I’ve abandoned projects I loved because I couldn’t find enough info. I still think there’s something great to be done with a pirate story, but those guys just weren’t good about writing in their diaries – hard to find out what they were really up to! Thanks, Kate. I’ve got a new one coming out in the fall, MOST DANGEROUS, a story from the Vietnam era – I’m starting to put up info about it on my webstie. And I’m currently researching a great underdog sports story from the early 1900s – I’ve always wanted to write a sports story, and this one really grabbed me. I think I know what the opening scene will be – but we’ll see! Great news! Our 8th graders cover the Vietnam era and kids always are drawn to sports stories. I’ll be delighted to share with students and with teachers. Fabulous! That era is actually a focus for purchases in my library this upcoming school year. Awesome! What do you do when you can’t visit the country or conduct interviews on or of the subject you want to write about? How do you conduct your research then? That happens. For BOMB, I would have loved to go to Norway, Russia, Japan, but no one would pay me to do it. But you can still find great stuff in libraries, museums, and through phone calls and email. I don’t think anyone will hold it against you if you don’t make it to every place in your book. I wonder how Skype or Twitter might play a part in connecting to real people to research. So far I’ve used old fashioned phone calls, and meetings in a few cases, but I could see how Skype could be great too. Steve – Thank you for your wonderful books and for sharing your insight with us today! Do you have suggestions for writing a small-scale opening paragraph that would bring out a student’s creative personality? Do you typically write your beginnings when your story is finished? Again, thank you for your helpful hints and I look forward to reading more of your books! Yes, I remember that “tell them what you’re going to tell them” lesson from school. Glad I don’t have to do that anymore! In workshops in classrooms, I’ve had good success when I’ve described a scene for students and then asked them to picture it from the point of view of someone – or something – in the scene. Then write a paragraph or two in that voice. I’ve seen kids write scenes from the point of view of characters, or even of a car, or a dog walking past. They seem to enjoy getting into the voice, and I think it really helps to give them something they can picture. And in terms of when I write beginnings, I seem to write them before, during, and after – I mean, I write an initial one first, but it never ends up making the cut. Steve -Thank you for sharing your POV idea! I feel like this will be something all students will enjoy, no matter what the age. My brain is now whirling with excitement, which made me wonder if you had any tips for concluding the stories? POV seems to be a very strong way to get the creative juices flowing. I wouldn’t have thought of using it for non-fiction. Thank you for the tip! I can see where that would be tough, finding that right balance. It’s very different, but in BOMB I wanted that mix of story and science. The key for me was to put the story first, and work in the science where it was needed to move the story forward. Would that work for your project? Thanks, and say hi to your niece! You are so right, Andrea. Pairing nonfiction with fiction is a great idea. I wrote a post for the Nonfiction Detectives on pairing EcoFiction with NF titles you might find useful.https://nerdybookclub.wordpress.com/2015/04/04/ten-nonfictioneco-fiction-pairings-for-readers-by-nancy-castaldo/ There are probably many more you will come up with! Teach on! Life happened today and I’m visiting my kids at camp….yada, yada, yada….but I am popping in to say YOU ARE ONE OF MY FAVS! Thank you for your wonderful works that really get our non-fiction kids reading. And, the folks at audible have done a wonderful job of getting your work into listening format. I wept over Port Chicago 50 and wouldn’t stop listening to Bomb until the end! Keep writing and know that you are making an important difference in the lives of students — some who actually still love history. I was one of those nonfiction kids! And agreed, I love those audio books, and love how much the different actors bring to each story. Thanks! Hi Steve – Thank you for the wonderful ideas and tips. There are some excellent questions here. You mentioned a few hundred words for writing beginning for books. What are your thoughts on great beginning for shorter pieces, like 500 to 1000 words. Are there tricks for great beginning that you would use in this much shorter format? Thank you again for your time and energy with us! I still think the key is to jump right in – start with something specific, visual, surprising, an interesting quote – some kind of grabber. What I always do is come up with three or four options, and just try them out! Most definitely, that’s a very good idea, thank you!